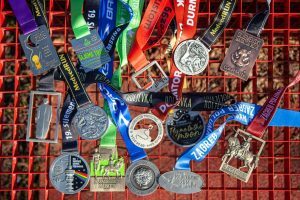 Beside beautiful memories you take home after a race in Croatia, you will probably also take one material memory – a finisher medal. 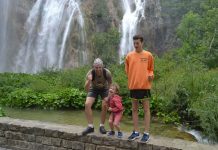 In last few years, finisher medals in Croatia became unique and ingenious, and you sometimes want to run a race just because you need to have its medal. 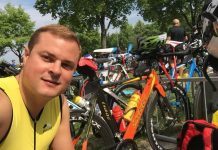 We decided to have a talk with Siniša Mareković – an artist and a runner who designs those beauties. Hello Siniša, could you please introduce yourself? Tell us something about your education, job, family, and interests. Well, hello to you too. 🙂 My name is Siniša Mareković. I am an under average runner, a designer, and a guy who pisses off politicians through satire pictures I create on a daily basis. I have two kids – a 13 year old girl and a 17 year old teenager son. We get along quite nicely – as long as they get their way. Those two kids also have a mother, who has, coincidentally, been my wife for 19 years now. As for my interests, I would like to emphasize my obsession for climbing mountains – the steeper the better. I also like parachuting. To put it more simply – I am an adrenaline junkie. How did you become a runner? In 2011, I heard about something called “running school”. This was a new project in our country then. Its goal was to prepare absolute non-runners for a half marathon race in only 5 months. 70 people started the school in May and 60 of us made it to the finish line of the Zagreb half marathon in October. That was quite a success, but rest assured that our desire to run the half marathon wasn’t the only reason why so many of us got to the end of the training. The other reason was the promise that we will get free running shoes if we do so. Those were good shoes! Do you have some races and results you are proud of? Sure. Every runner remembers their first marathon and mine was in Ferrara in 2012. The race date fell exactly on my 39th birthday. I couldn’t say I “ran” that marathon since I was struggling with a serious knee injury, but I finished it in the requested time, so it counts. Among many other races, I will also mention the Berlin Marathon and Half Marathon because of… well… Berlin. You have to go there to feel how it is to run through that magnificent city with people cheering all along the track. A stellar experience, I would say. 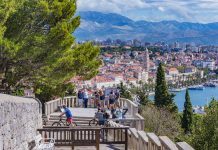 And what is your favorite race in Croatia? Since I’m member of a club that organizes quite a few good races in our country, it wouldn’t be fair of me to mention one of them, so I’ll choose the ones we aren’t involved in. I really like CAJTNOT. I think it is a nice combination of a city race and puzzle solving. It is performed in pairs, it is fun, you can run a fine distance, and you learn a lot about the city you are in. Oh yes, I will single out one more race – the Jaska Half Marathon. 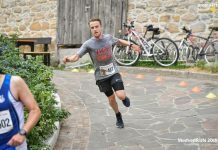 That race is hard – it has 450m of cumulative climb throughout the route, but because of the hills you are running by and the really nice memories I have from it, this race deserves to be mentioned here as one of my favorites. People that are familiar with the Croatian running scene know you as the creator of most successful marketing campaigns for races. How did you start? What is your favorite campaign and why? This is a hard question – it’s like asking a parent who of their children they love the most. 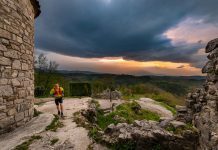 Well, every race we make has a story behind it, and each and every single one of them is completely different – Hendrix is a rock and roll race, Boroša is a city race with a long history, MedvedRUN is a race with a taste of beer… But if I had to choose one, it would be the GRAWE Night Marathon. We started from scratch, but the race became extremely popular very fast. The difference between this race and all our other races is that the campaign has a continuous theme that connects each year’s race. Some of the themes so far were the moon, space, night, etc. We have a mascot for that race too – Luna – a little girl who tells you a different story every year. In 2019, we will go really far with Luna, and I mean that literally. For the rest, you should wait a little bit longer until we reveal more details. One small but essential part of every race are the finisher medals. I believe yours are a small work of art. I remember that Hendrix medal, it was really something… How did you start designing medals? The history behind the finisher medals is really interesting and not many runners know it – they were first introduced in the 1970s and represented the achievement of running the marathon distance. 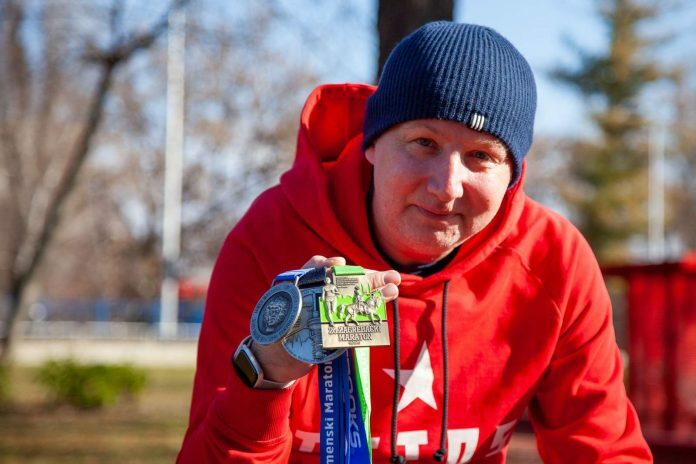 The idea was simple – every person who finishes a marathon is a winner and deserves a medal! Since then, we came a long way with medals for all participants, not just for the first three in a category. Today, you can find them in pretty much all races, from 5k to ultra-marathon distances. Now that we have gotten that straight, to get back to your question – we introduced our first finisher medal in 2014. Since then, we have distributed them in all our events. 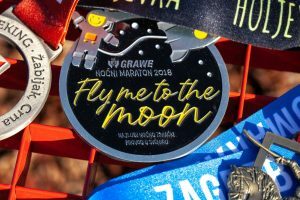 But, unlike some other races that have the same medal every year with just minor modifications of the design, we make a new design every year for each race. 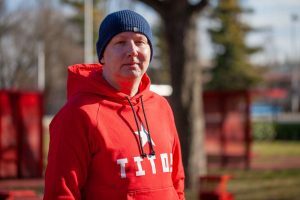 As a designer, and a runner, I started making them by asking myself a simple question – what is the medal that I would like to receive for that specific race like? With that in mind, I create each medal – some of them are more popular, some less, and everyone has their favorite one. To be perfectly honest, I had never dreamed that I would be doing this kind of design in my life, but now, when I see those tired runners with pain written all over their faces and how they cheer up when they cross the finish line and receive that hard earned piece of metal, I am thankful that my creative career took that unusual turn 5 years ago. Oh yes, that was quite an experience. We planned to make our first medal for the Hendrix Half Marathon in February 2014. As it turned out, finding a good and reliable manufacturer, who is capable of turning my ideas into high quality medals, was not an easy task at all. So we skipped the Hendrix and decided to present it at the Sljeme Marathon in July later that year. What I didn’t know then, and what I know now, is that designing a medal design is specific and would be completely different than designing printed and web materials I was used to. So, when I sent my first idea of the design to a factory in China, they sent me their calculations – with my design, the price per medal would have been around 40 USD, and with the cost of the mold, shipping, and customs it would rise to 60 USD – just for one medal! I was stunned. So much? Then we started exchanging emails and the Chinese guy told me that this is an unusual design which requires a lot of materials being blended together. Then he explained to me the rules, sent me some samples, and I made a new design for the race according to those standards. When the medal came, it was huge and really simple compared to the medals that came later. But, it was a start. After that, there hasn’t been a race, in our organization, that didn’t have a finisher medal waiting for the runner at the finish line. How many medals did you design so far? The Hendrix Half Marathon medal that we presented last month is my 30th medal. And your three favorites are? 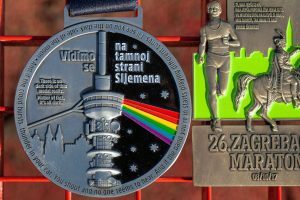 The Sljeme Marathon 2018 (The Dark Side of the Moon tribute), the Holjevka 2015 and the Hendrix 2019 medals. What is your thought process when you start designing a medal? What I really want is to tell a story on a piece of metal. However, a medal is usually 7 cm in diameter. 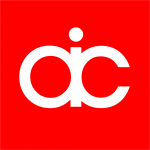 You are limited with technique, space, and colors, but you still need something that will make people want to look at it, find details, and realize what the designer wanted to tell them – and when they do (if they do) my job is done. Also, one more important thing to mention is that it takes some experience to visualize the final product, which will be quite different from the one you had in your design program. When you achieve that, it is easier to prepare the medals that will, once produced, have all the elements you need and look exactly as you wanted them to. Are you working on something now, and what can we expect from you in 2019? A job like this doesn’t stop during the rest of the year – when you finish with one season, you start preparing for the next. I am currently working on a Hendrix campaign for this year and I can’t wait to present the story for this year’s GRAWE Night Marathon – it will be different, strange, and elaborate. Will people like it? That remains to be seen. But actually, that’s what makes the job fun – continuous challenges and the wish to improve and revamp something you already made. Not an easy task, but I really enjoy doing it.